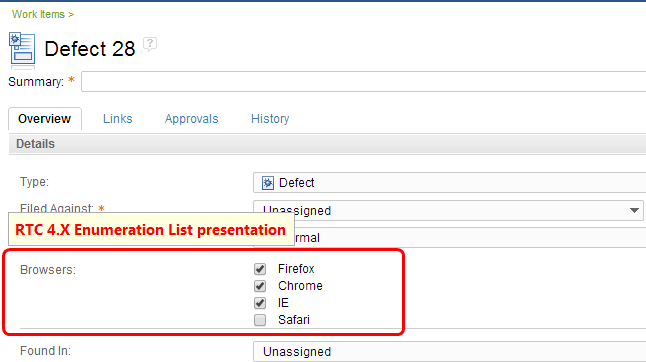 Rational Team Concert (RTC) 3.X multi-select list presentation is no longer supported upon upgrading to RTC 4.X or 5.0. You can now utilize enumberation lists instead. In RTC 3.X, you added customized field(s) with values present in multi-select lists in a work item by possibly following the information provided in this technote. Editing the Project Area source shows a similar warning. The purpose of this technote is to provide you with a workaround so as to merge from 3.X multi-select List to 4.X enumeration list presentation. In 3.X, you defined your custom attribute with type = String. 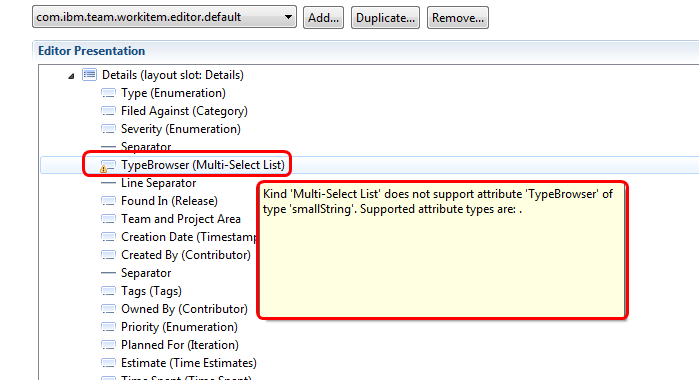 You can not change an attribute’s type once Project Area has been saved. 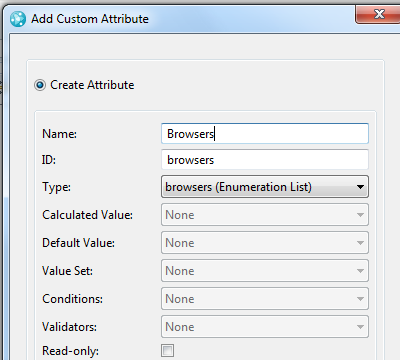 So you can not switch from String to Enumeration List attribute type. then finally archive the 3.X attribute. – have the old attribute point to the new one. – open a couple of work items and verify that new attribute has the same value(s) as the old one. Archive the old (3.X) attribute, remove its presentation.